Now, you’re probably thinking: she just got done burning a towel, what in the heck is she doing with fire?!?!?! Well don’t worry, I’m here to reassure you. Comforting, I know. 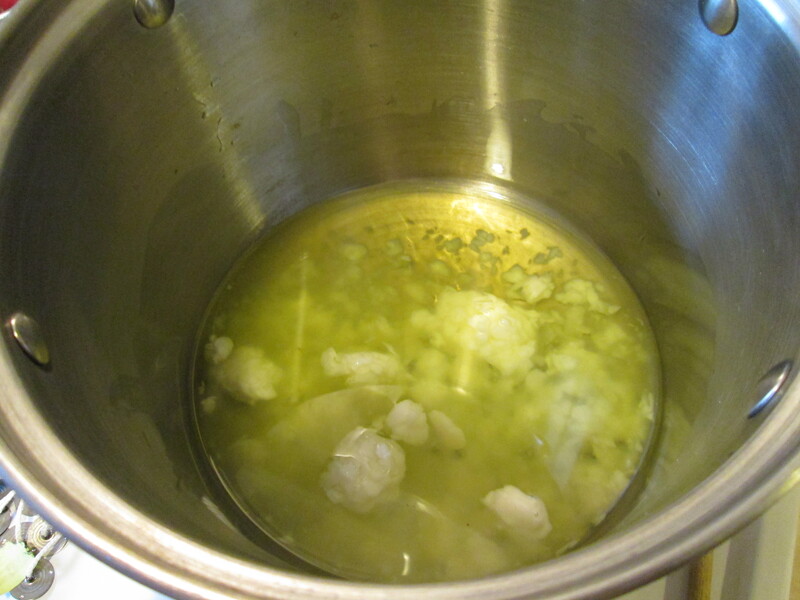 I’m not necessarily playing with fire….just with boiling water and hot wax. Much better, right? Because I’m lazy and didn’t feel like going to a craft store -not to mention I find them extremely overwhelming-, I did the next best thing and searched Amazon.com for supplies. Boy, do they know how to entice you to buy stuff on there. I originally was going to go for a 5lb bag of soy wax flakes…but then I saw the 10lb option for a better value. Yep, you’re right, Amazon, 10lbs of wax is exactly what I need. Thank you for suggesting that. 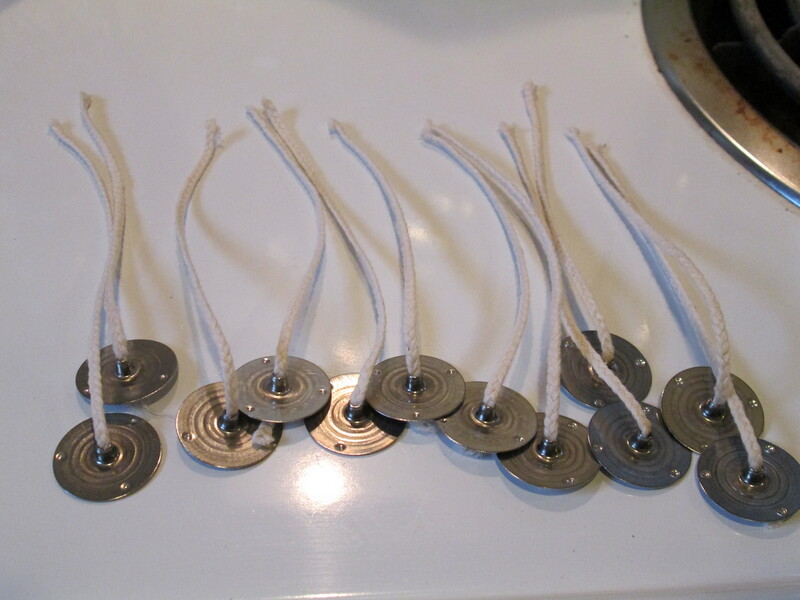 Additionally, thank you for suggesting the 100 yard roll of wick and the 100 metal wick holders. OH, and as an addendum, you thought I might need some scents at $8 for 4oz? I’ll take 2. Good point: While I’m at it, I should probably buy a DVD to watch/listen to as I’m candle making… Additionally, I picked up 12 8oz mason jars and some crayons for color at the store. Apparently, I’m on the right track to open Melissa’s menagerie of candles. -sidenote- Let’s be honest: who doesn’t love a project that involves crayons?! Alright team, let’s do this candle thing. 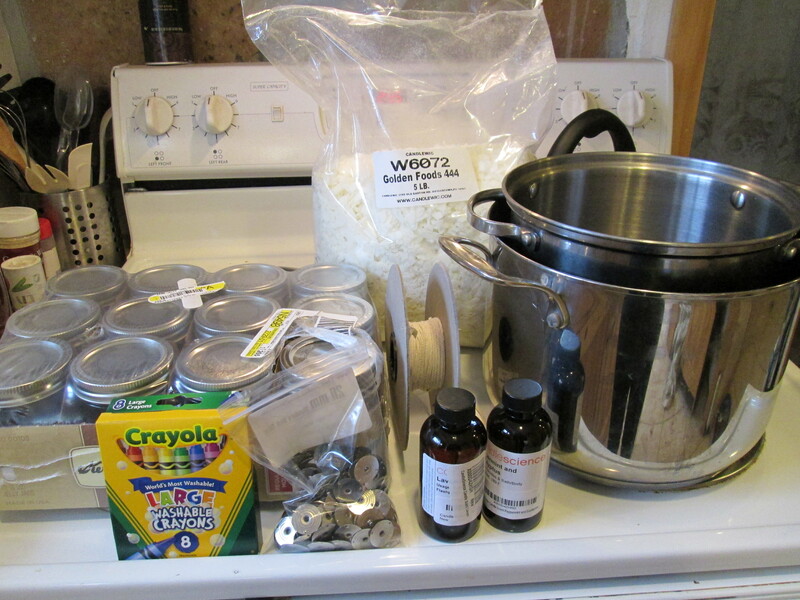 Materials: wax flakes (I opted for soy wax flakes – they have a long burn time and are non-toxic – yay inner tree hugger), wicks, wick holders, jars of some sort, glue, scissors, stirring spoon, measuring cup, crayons (optional), scents (optional), and a double boiler. 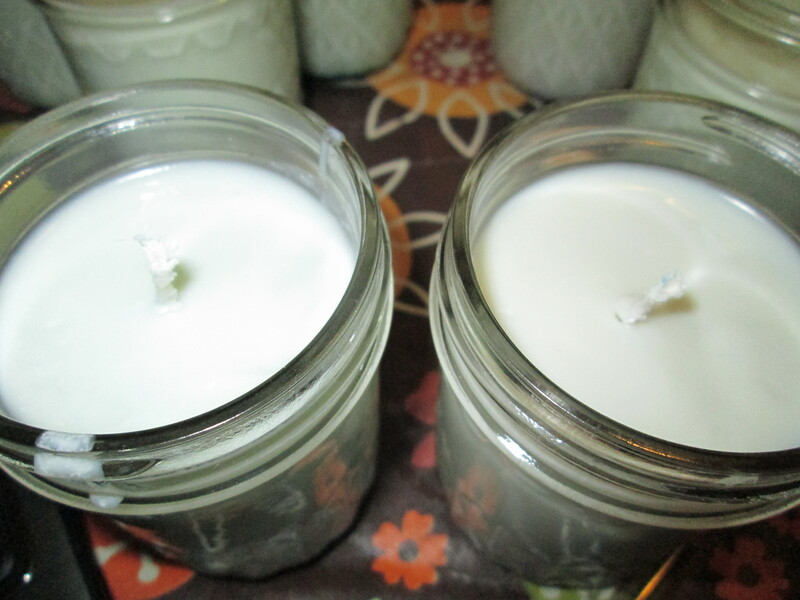 First things first, I cut the wicks from my giant roll of them and placed them in the wick holders. After not doing it myself the first candle go-round, I highly suggest gluing the wick holders to the bottom of your candle so they stay centered while you pour the wax. It’s much easier than pouring the wax, trying to center the wick holder, and doing your best not to burn yourself all at the same time. Trust me. Also, get scissors that aren’t extremely dull. Or use a knife. I imagine it would’ve made my life a little easier. 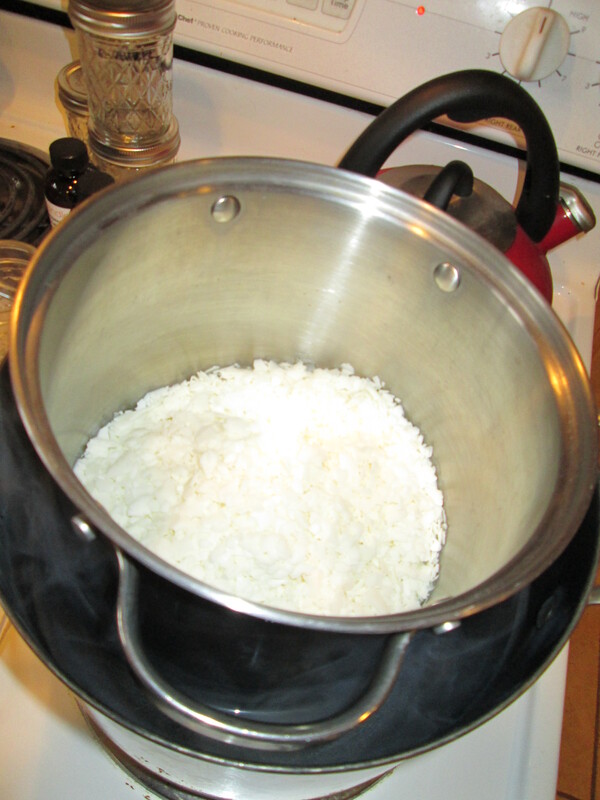 Next, melt the wax in a double-boiler pot. This looks eerily like the set up of the great yogurt fail of 2013, so that was on my mind the entire time. 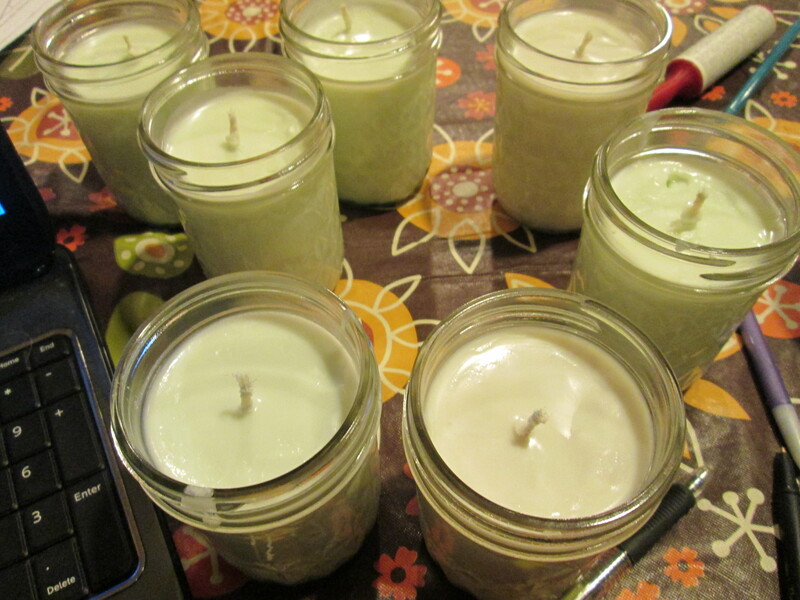 After a little experimentation, I found that I needed 3 cups of wax flakes to make 2 8oz candles. 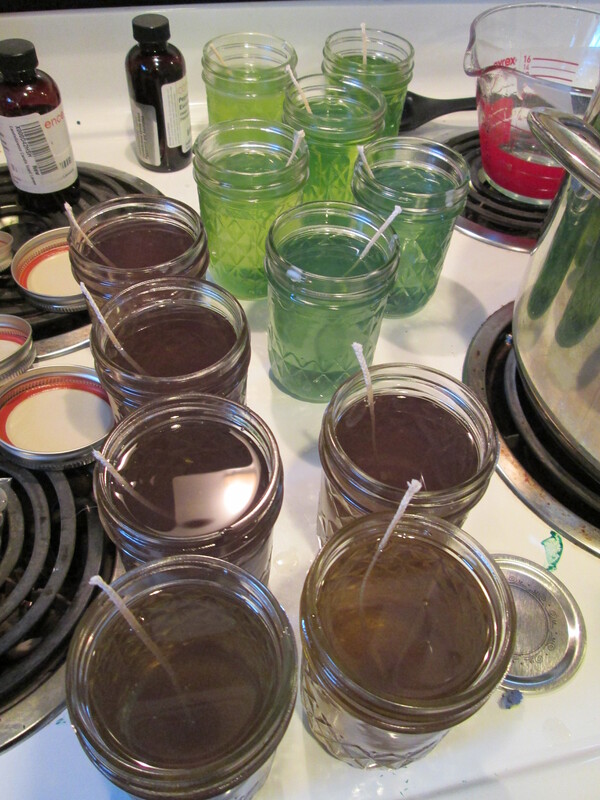 I decided to do 2 mini batches so I could change the color and scent halfway through; however, I wasn’t exactly sure how to do it. I know, I know: add it to the wax, dummy. Yes, I got that part. The issue is how much to add. Amazon so kindly gave me the gentle encouragement to buy 2 different scents: peppermint eucalyptus and lavender. In hindsight I probably should have looked online to see how much one would normally add. Instead, I thought a half bottle would do the trick nicely. As a result, I’ve been able to smell nothing except lavendery eucalyptusy peppermint for the past 2.5 hours. That being said, I may have over-done it. 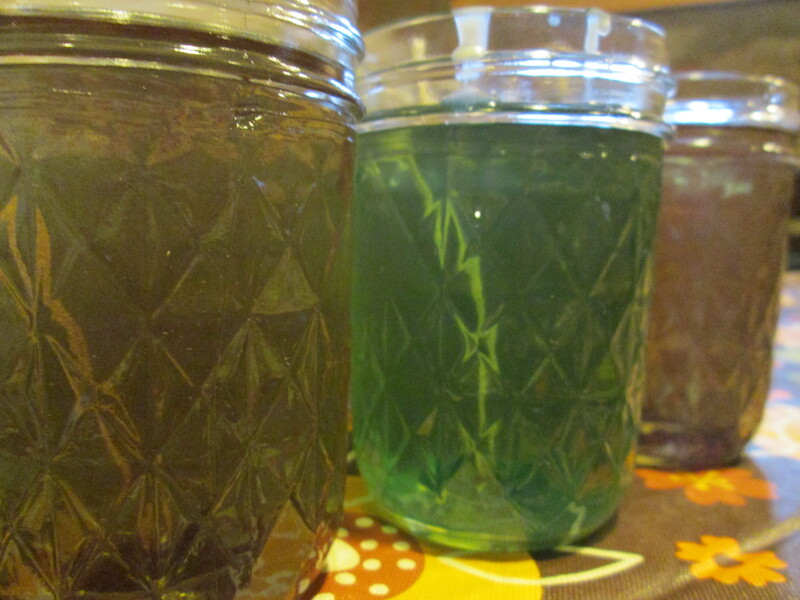 As for the color, I used green for the eucalyptus peppermint and purple for the lavender. Well, I attempted it anyway. I only used a little bit of the crayon in the wax because it turned a vibrant green color right away. The wax had a personal vendetta against the color purple, though. No matter how much crayon I put in, the wax hardly changed color. It just sat there, mocking me, as I tried to figure out what to do. So I went back, way back, to my kindergarten days and found the answer. RED + BLUE = PURPLE! Eureka! Put that in your pipe and smoke it, wax! Green & purple. Reminds me of jello. 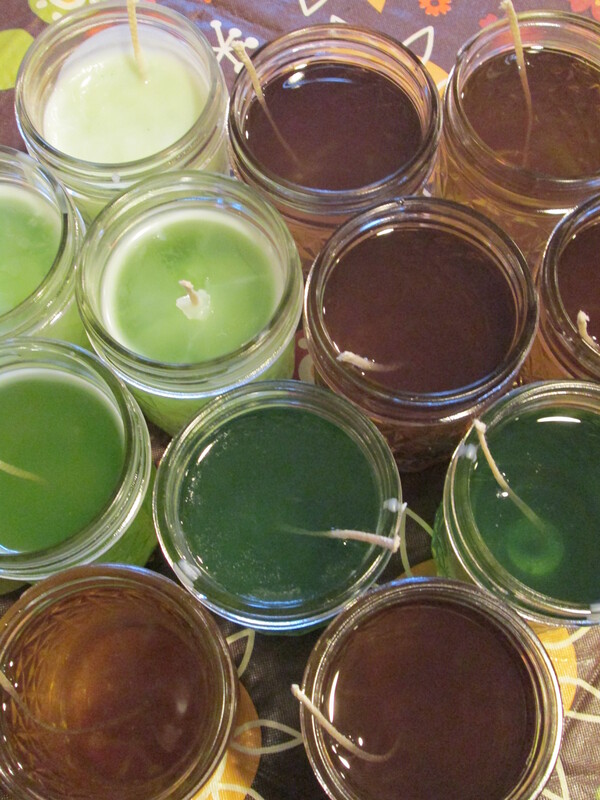 Now, the site that I used for this project said the next step is to pour the wax into the jars, center the wick, let it solidify, and you’re all done! 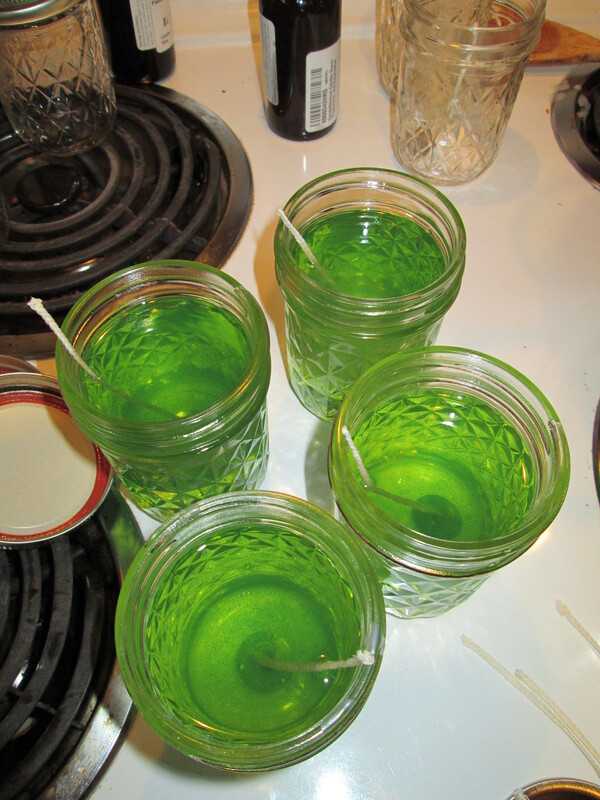 So proud of myself, making green and purple candles. Mission accomplished. But wait! The candles weren’t going to let me off the hook that easy…What I didn’t realize is that when the wax hardens, the color fades. They got me, and they got me good. My ‘green’ is about the color one turns right before they go get up close and personal with the porcelain throne, and my ‘purple’ is more of a dirty mop water gray. You can’t even tell the color difference in the picture. Well played, candles. Well played. …At least you can smell them from a mile away. 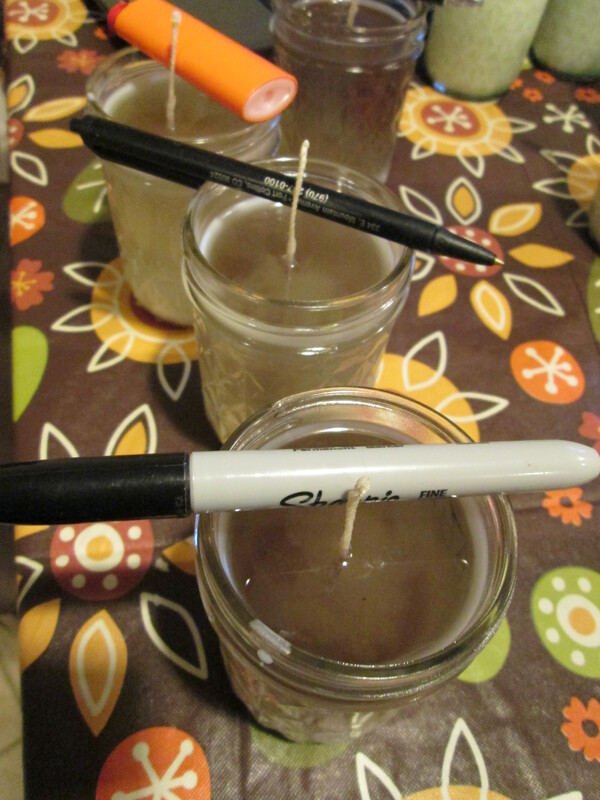 This entry was posted in Arts & Crafts, Candle making, DIY, Trial & Error and tagged DIY, homemade, trial & error. Bookmark the permalink.